Your Constructyv account now gets you access to consumer financing solutions that help you close more deals, win larger contracts and get paid faster. 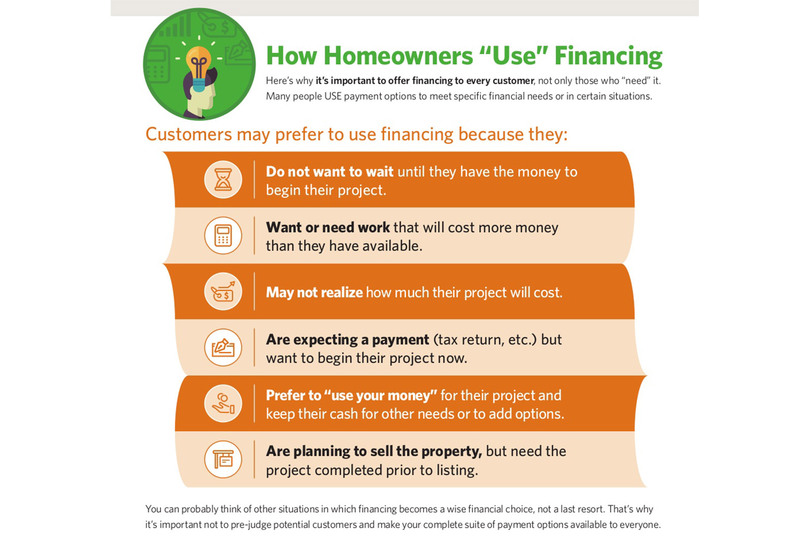 Here are some ways that homeowners use GreenSky consumer financing to make their dreams come true. Offering financing to every customer is important – you can’t just offer it to those you think need it. Many people use payment options to meet specific financial needs or in certain situations. Even the most prepared customers need payment options.